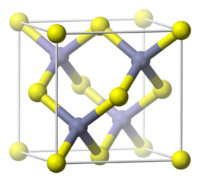 Properties, AlP crystals are dark grey to dark yellow in color and have a zincblende crystal structure with a lattice constant of 5.4510 Å at 300 K. They are thermodynamically stable up to 1,000 °C (1,830 °F). Evidently poisonous, aluminium phosphide has been used for suicide. Fumigation has also caused unintentional deaths, such as examples in Saudi Arabia and the United States.Known as "rice tablet" in Iran, for its use to preserve rice, there have been frequent incidents of accidental or intentional death. There is a campaign by the Iranian Forensic Medicine Organization to stop its use as a pesticide.